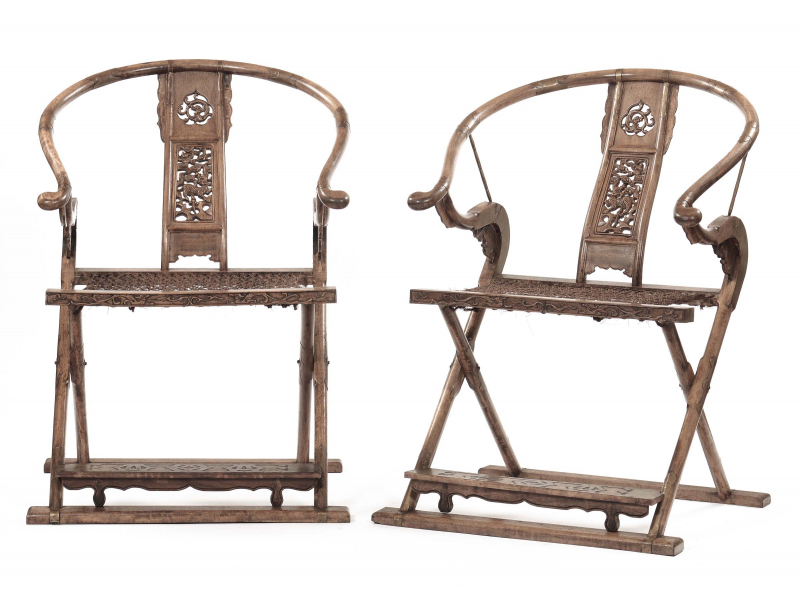 A pair of Hongmu wood armchairs with fretworked seatback and footrest, China, Qing Dynasty, 19th century. Estimation : 1 500 € / 2 000 €. Photo Cambi Casa d’Aste.